Placing in a well respected screenwriting contest can bring your writing to the attention of the industry. Here’s my round-up of the best film and television writing contests in the UK and US. This list is updated at the beginning of every month so do subscribe to the blog to get future updates straight to your inbox. Top Tip – get feedback on your script ahead of time to be sure you’re submitting the best sample of your writing. Berlinale Talent Campus – Deadline: 1 September 2016. Blue Cat Screenplay Competition – Deadline: 1 September 2016 (early) / 15 October 2016 (regular) / 15 November 2016 (final). Accepting shorts and feature length scripts. Tracking Board Launch Pad Features Contest – Deadline: 6 September 2016 (late) / 21 September 2016 (final). Fresh Voices Screenplay Competition – Deadline: 8 September 2016 (regular) / 6 October 2016 (late) / 3 November 2016 (final). Accepting feature scripts up to 130pp, tv scripts up to 75pp, short film scripts up to 25pp. American Zoetrope Screenplay Contest – Deadline: 15 September 2016. Screenplays 82-145pp. Cinequest Screenwriting Competition – Deadline: 23 September 2016 (regular) / 14 October 2016 (late) / 4 November 2016 (final). Features, teleplays (60′ & 30′) and shorts. 4Screenwriting – Deadline: 25 September 2016 (final). Accepting screenplays (film or tv), stage plays and radio plays. Open to residents of UK and Ireland. Applicants must be available to attend the course in London on specified dates. Opens Monday 5th September. BAFTA Rocliffe New Writing – Film Script Call – Deadline: 27 September 2016. Nashville Film Festival Screenwriting Contest – Deadline: 30 September 2016 (regular) / 30 November 2016 (late) / 6 January 2017 (final). Screenplays 80-120pp, short script under 40pp, half-hour tv comedy script 22-35pp, one-hour tv drama 45-65pp. C21 Drama Series Script Competition – Deadline: 13 October 2016. Pilot script (max 60pp) and supporting document. Finalists receive high-level mentoring. 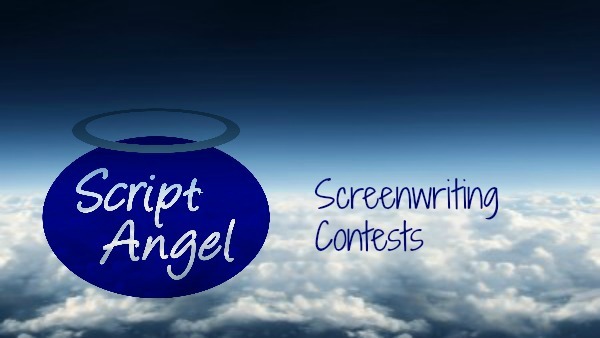 Winning writer receives $10,000 and the script will go into development with eOne Television. Screencraft Action & Thriller Screenplay Contest – Deadline: 15 October 2016 (regular) / 20 October 2016 (final). Screenplays up to 140pp. Cassian Elwes Independent Screenwriting Fellowship with The Black List – Deadline: 5 November 2016. Screenwriting Goldmine Competition – Deadline: 8 December 2016 (final) – Film & TV scripts 45-120pp. (UK focused) Opens 6 October 2016. Screencraft Family Screenplay Contest – Deadline: 30 December 2016 (final). Opens for submissions 4 November 2016. Screencraft Screenwriting Fellowship – Deadline: 30 December 2016 (regular) / 15 January 2017 (final). Opens 1 October 2016. Universal Pictures’ Emerging Writers Fellowship – Deadline: usually November. Hamptons International Film Festival Screenwriters’ Lab – Deadline: usually January. Feature length screenplays only. Seattle International Film Festival Screenplay Contest – Deadline: usually January. The Red Planet Prize – Deadline: usually January. Accepting tv screenplays. Nickelodeon TV Writing Program – Deadline: usually February. Spec scripts for one of their listed shows. Open to US and international applicants. London Independent Film Festival Screenplay Contest – Deadline: usually March. Short & feature length scripts. European Independent Film Festival Script Competition – Deadline: usually March. Short scripts 5-50pp & feature length scripts 80-130pp. Looking for scripts NOT aimed at mainstream Hollywood film markets. Cinestory Screenwriting Retreat Contest – Deadline: usually March. Screenplay 85-130pages. The Sitcom Trials – Deadline: usually March. 10-minute sitcom extract with a cliffhanger ending. The PAGE International Screenwriting Awards – Deadline: usually April. Short scripts up to 40pp, feature screenplays 80-120pp, TV drama pilots 50-70pp, TV comedy pilots 25-45pp. The Academy Nicholl Fellowships in Screenwriting: Deadline: usually May. Screenplays 90-120pp. Edinburgh International Film Festival Talent Lab – Deadline: usually April. Open to screenwriters, producers & directors. Feature films only. Scriptapalooza – Deadline: usually April. Screenplays 80-140pp. Script Pipeline Screenwriting Contest – Deadline: usually May. Feature length screenplays. Script Pipeline TV Writing Contest – Deadline: usually May. Any length script, pilot of original or spec of existing show. Sundance Screenwriters’ Lab – Deadline: usually May. Feature length screenplays. U.S residents only. Sitcom Mission – Deadline: usually May. Submit 15 minute sitcom script for tv, radio or stage. Austin Film Festival Screenplay & Teleplay Competition – Deadline: usually May. 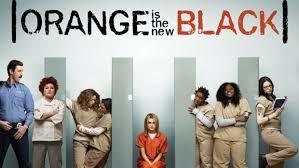 Feature scripts 90-120pp, teleplays (original pilot or spec of existing show) 45-70pp, sitcom scripts 22-40pp. Tracking Board Launch Pad Pilot Contest – Deadline: usually May. Original tv spec scripts up to 70pp. Warner Brothers Writers’ Workshop – Deadline: usually May. Spec script of selected existing shows. Must be available to attend workshops in Los Angeles. Disney/ABC Writing Fellowship – Deadline: Usually May. Applicants must be able to prove US employment eligibility. Screamfest Horror Film Festival Screenplay Contest – Deadline: usually June. Feature screenplays 75-130pp in Horror genre. New York TV Festival Comedy Script Competition – Deadline: usually June. Sir Peter Ustinov Television Scriptwriting Award – Deadline: usually July. Submit 30-60 minute television drama script. Applicants must be under 30 and non-US residents. Screencraft Horror Screenplay Contest – Deadline: usually July. Screenplays up to 140pp. Emerging Screenwriters Screenplay Competition – Deadline: usually July. Big Break Screenwriting Contest– Deadline: usually July. Teleplays 25-70pp / Screenplays 80-120pp. Screencraft Pilot Launch TV Script Contest – Deadline: usually August. Shore Scripts Screenplay Competition – Deadline: usually August – Feature screenplays 80-120pp, tv pilots 15-70pp, short screenplays 3-20pp.